James Lamb Arthur was born in Toronto, Canada, on 3 July 1917, the second of the four children of Rev Alfred and Dora Arthur. His father was an Anglican clergyman with a parish in the city. Arthur was educated at Dennis Avenue School and York Memorial College, where he did well in maths. When he left school he went to work in the Bank of Toronto. He had a great interest in flying, and his youngest sister can still recall the excitement of seeing him, his brother and their father flying overhead in a small aircraft, and using a bedsheet to wave to them. He also had a great love of classical music and took his younger sisters to concerts. 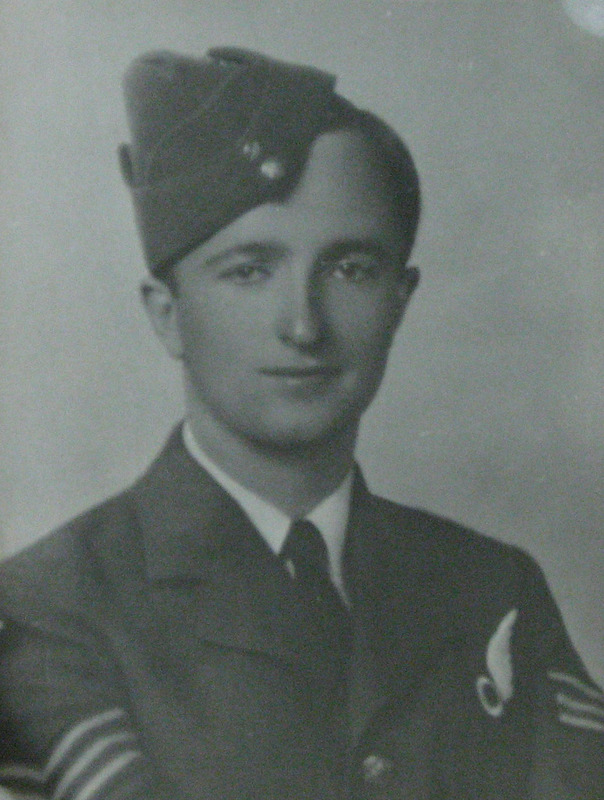 He enlisted in the RCAF in 1941. After first being selected for pilot training he was then remustered as an observer, and qualified in May 1942. After arriving in the UK he then went on to qualify as a bomb aimer on heavy bombers. Arthur was posted to 106 Squadron to begin operations in February 1943, but it wasn’t until 12 March that he flew on his first operation. Lew Burpee’s bomb aimer George Goodings had come to the end of his tour, so the chance of joining an experienced crew with two other Canadians probably looked like a good choice. Their trip took them to Essen, which they bombed successfully from 19,000ft. They reported very heavy flak and “scores of searchlights”. Arthur’s first operation turned out to be the last that Burpee and his crew would fly in 106 Squadron, and it was therefore the only time that the complete Dams Raid crew would fly together before the raid itself. Fewer than three weeks later they were at RAF Scampton, training for the secret mission which would prove fatal for them. In training, the focus quickly fell on the inexperienced bomb aimer, who may well have been the only one to fly on the Dams Raid with just one operation under his belt. Nevertheless the AJ-S crew came through the training successfully and took their place in the mobile reserve for the operation. Sadly, AJ-S was shot down some two hours after take-off, and everybody on board was killed instantly. The Germans could not individually identify the bodies of Guy Pegler, Bill Long, Tom Jaye and James Arthur, so they were buried in a communal grave in Zuylen Cemetery, Prinsenhage, next to the individual graves of Lewis Burpee, Gordon Brady and Leonard Weller. After the war the bodies of all seven were exhumed and reburied in Bergen-op-Zoom War Cemetery. Thanks to Frances Houlston and Clive Smith for help with his article. I think James Arthur was posted to 106 Squadron in Feb 1943, rather than 1942. Clive — You are of course right! Thanks! My Mother’s favourite cousin, Jamie. Still fondly remembered.